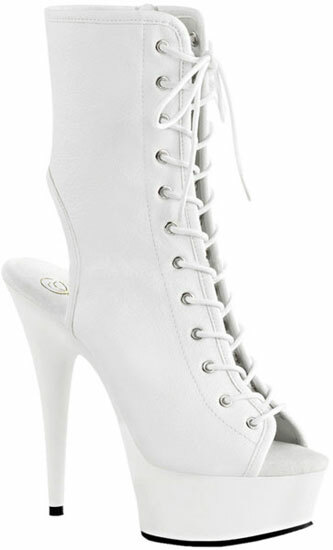 White PU 6 inch heel with 1 3/4 inch platform peep toe boots. Open back with lace up front, ankle boots. Full length inner zipper closure. Manufactured in Asia.